Perfect, thank you so much for your great service and good help. (...) The bag looks great, and we´re looking forward to getting it. Once again thank you so much for everything. We´ll keep in touch. 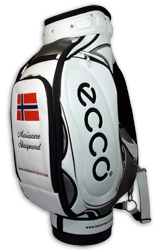 When we need a new bag, (maybe next year) we will contact you.